Almost four years since the band’s third album, ‘In This Light and On This Evening’, a lot has changed in the Editors camp. Most notably, guitarist and founding member Chris Urbanowicz left the group at the end of 2012 with all parties citing musical differences. Adding two new members, the band have now expanded to a quintet. Given the stop and start attempts at writing and recording a new album as well as vocalist Tom Smith working on other projects including Smith & Burrows, it’s a miracle that there is even a fourth Editors album. For further proof check out ‘The Weight of Your Love’ documentary Editors released on You Tube recently. In fact, a few of the songs have even seen various incarnations over the past couple of years. For example both the brilliant “Two Hearted Spider” and “The Sting” (which only appears on the Deluxe Edition), started out as a synthpop numbers much in the vein of ‘In This Light and On This Evening’, however here they’ve been transformed completely. Heavily influenced by Interpol and Joy Division, the band’s debut, ‘The Back Room’, was one of the most talked about U.K. indie-rock albums of recent times and helped spearhead a worldwide post-punk revival. On their follow up records, 2007’s ‘An End Has A Start’ and the previously mentioned ‘In This Light and On This Evening’, the band first expanded their sound and then explored their sound. Times change. People change. And bands too change. And indeed Editors have changed. More accurately, they’ve grown up. Gone is the kitsch post-punk styling and in its place is a more “mature” sound. With the album’s theme being love, we see the band exploring new emotions and adding new colours to their palate. At multiple times throughout the album you get the feeling that ‘The Weight of Your Love’ was intended to be for the Editors what ‘Ocean Rain’ was for Echo and The Bunnymen. Opening track “The Weight” takes cue from Depeche Mode even down to the blues influenced guitar riffs ala “Personal Jesus”. The guitar and strings melody in the chorus are nothing short of massive. “Sugar”, the album’s best song, follows next showing glimpses of Nick Cave and The Bad Seeds with its gorgeous and darkened melodies. The brilliant Eastern melodies in the bridge give the song another quirk while its understated chorus is deceptively catchy. The first single, “A Ton of Love (read our review) is poppier and hooky than anything they’ve released previously sending a great big nod to Echo and The Bunnymen and U2 while its Simple Minds chorus is guaranteed to embed itself deep into your memory. The single is followed by three string-driven ballads, “Honesty”, “Nothing”, and the gorgeous “What Is This Thing Called Love” on which we’re introduced to Tom Smith’s falsetto – a vocal quality not heard in Tom before. In fact, this set-for-radio ballad sounds more Five For Fighting than it does Editors. Similarly, “Honesty” is hook-laden and heartfelt but more adult-contemporary than what we’ve become accustomed to. “Formaldeyhde” finally picks up the tempo and here Editors channel their inner Keane complete with backing vocals while “Hyena” is a riffy and edgier number, which like much of the record, serves to showcase a whole new sound and style for Editors. “The Phone Book” is more Smith & Burrows than it is Editors while “Two Hearted Spider”, which was a much stronger song in its original synth form, again shows traces of Nick Cave. Finally, closing number, “Bird of Prey”, is a gorgeous track and one the stronger songs on the record. The first five tracks see Editors in incredible form but unfortunately the album tails off from that point. With the exception of the first single, “A Ton of Love”, the majority of material is set at mid-tempo barely rising in intensity or dynamic. ‘The Weight of Your Love’ is a mixed bag. It may not be a perfect album – for example some of the string arrangements feel bloated (e.g. “Nothing”), the balladry at times feels syrupy, not all the songwriting experiments hit the mark i.e. “The Phone Book”, and the new Americana influence doesn’t gel – nonetheless the new album is a solid collection of songs with an array of textures, emotions, and influences. To their credit, Editors have most likely changed many people’s opinions, including their own, on what the band is capable of. 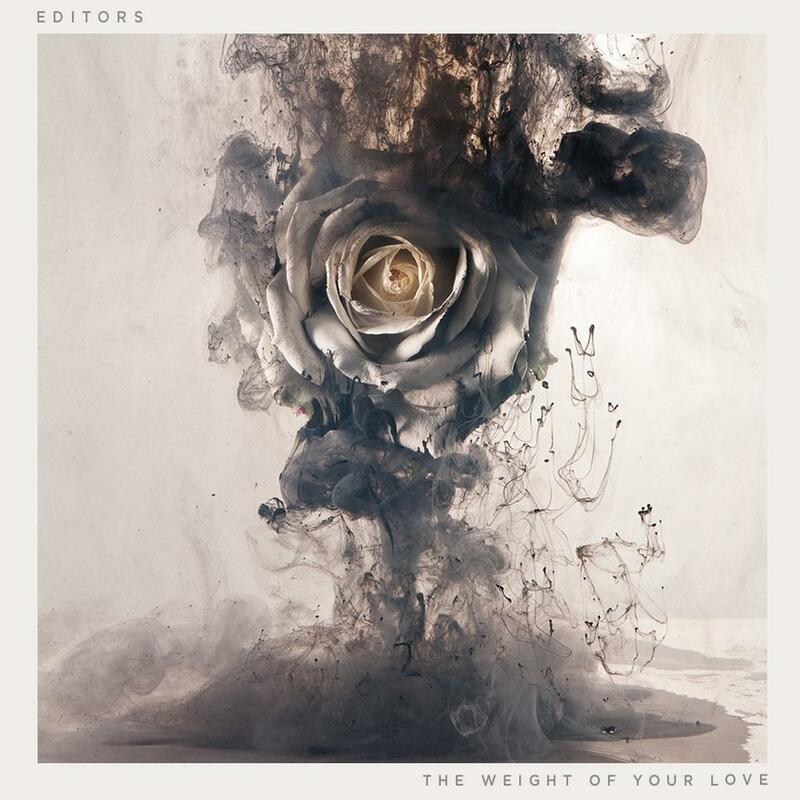 ‘The Weight of Your Love’ has given the band a second life and though missing the thrills of their debut and the edge from ‘In This Light…’, it is Editors most accomplished, sincere and mature work to date. ‘The Weight of Your Love’ was released 1 July, 2013.